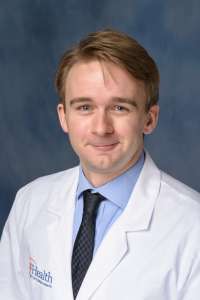 Home Faculty Multi-Discipline Pathology Robert P. Seifert, M.D. Second Place Winner, Florida Society of Pathologists Poster Award, Feb 2016. R Seifert, MM Bui. Electronic Atlas of Epithelioid Soft Tissue Tumors – Pathology “App” Development Made Easy. Seifert RP, Bulkeley W 3rd, Zhang L, Menes M, Bui MM. A practical approach to diagnose soft tissue myeloid sarcoma preceding or coinciding with acute myeloid leukemia. Ann Diagn Pathol. 2014 Aug;18(4):253-260. Seifert RP, Agosti SJ, Accomando JD, and Jukic D. Crystalcryoglobulinemia in a Patient with Underlying Monoclonal Gammopathy of Undetermined Significance. ASCP Case Reports. 2015 Jul; HP15-7: 1-17. Seifert RP, Marilyn Bui, and Jane Messina. “Mutated BRAF V600E in Poorly Differentiated Spindle Cell Malignancies Following the Initial Diagnosis of Melanoma in Another Site: A Diagnostic Challenge.” American Journal of Clinical Pathology 142. (2014): A248-A248. Seifert RP, L Sokol, and L Zhang. Unicentric and Multicentric Castleman’s Disease in HIV-negative patients: A Case Series. United States and Canadian Academy of Pathology, San Diego, California, March 3, 2014. Seifert RP, E Sagatys, MM Bui, L Zhang. Lessons Learned From A Case Of Incidental Composite Small Lymphocytic Lymphoma and Sarcoidosis. College of American Pathologists meeting, Orlando, Florida, October 13, 2013. Seifert RP, McNab P, Sexton WJ, Sawczyn KK, Smith P, Coppola D, Bui MM. Rhabdomyomatous differentiation in wilms tumor pulmonary metastases: a case report and literature review. Ann Clin Lab Sci. 2012 Fall;42(4):409-16.